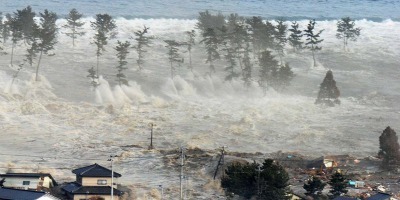 Recent tragic events in Japan – a magnitude-9 earthquake, a tsunami and the threat of a nuclear meltdown – have combined the worst of both natural and man-made disasters. How will Japan respond? What are the worldwide lessons to be learned? Join the School of International and Public Affairs (SIPA) for a teach-in on the crisis March 23, featuring a panel of FIU experts. Speakers include professors Dean Whitman, Department of Earth and Environment; Richard Olson, Department of Politics and International Relations; Joerg Reinhold, Department of Physics; Paul Kowert, Department of Politics and International Relations; Mathew Marr, Department of Global and Sociocultural Studies; and Pallab Mozumber, Department of Earth and Environment and Department of Economics. Steven Heine, associate director of SIPA and director of FIU’s Asian Studies Program, will moderate the teach-in. The discussion begins at 11 a.m. until 1 p.m. in the Graham Center Ballrooms at Modesto A. Maidique Campus. Co-sponsored by the Asian Studies program, the teach-in is free and open to the public. For more information, call 305-348-7266.